This way of life is very different from the world’s way, in which excellence is gauged by competition and achievement. Excellence for Paul does not focus on what “I” can do over against others, thereby creating “winners” and “losers.” Rather, Paul calls the Corinthians—and us—to a way of excelling by embodying God’s love manifest in Jesus Christ. Regrettably, we often lose our way by uncritically adopting worldly understandings. Excellence has become the holy grail of American culture. It is the aspiration of the athlete, the benchmark of business and industry, the essence of personal coaching. This culturally conceived excellence promotes individual effort and puts a premium on exceptional competence and skill. In a world of make-or-break rankings, mission statements, and business plans, “excellence” is too often interpreted as the capacity to come out ahead, to exercise strength at the expense of weakness—indeed, to leave encumbering weakness behind. Such interpretation has crept into the church without any adaptation or translation into Christian terms, leading even pastors we would characterize as excellent feeling frustrated. If excellence in Christian life is only or even primarily about our expectations and our achievements, then we would agree that there is something dangerous and even perverse about commending excellence. But we also do not think that we are called to lower expectations in order to resist cultural standards of excellence. The alternative to uncritical adoption of cultural standards of excellence is not to reject excellence altogether, nor is to settle for “mediocrity masquerading as faithfulness” (J. Wimmer). Rather, it is an appropriately Christian understanding of excellence. Ironically, in our culture it is business leaders who are helping the church reclaim our understanding of and emphasis on excellence. Jim Collins, for example, begins his important and provocative book Good to Great (HarperCollins, 2001) by stressing that the only way we will discover and sustain excellence is if we continually highlight its significance. “Good is the enemy of great,” he writes. “And that is one of the key reasons why we have so little that becomes great” (1). Too often our sights are set too low, in business as well as in the church. Collins suggests that the desire for excellence comes from within: “Those who turn good into great are motivated by a deep creative urge and an inner compulsion for sheer unadulterated excellence for its own sake. Those who perpetuate mediocrity, in contrast, are motivated more by the fear of being left behind” (160). Collins notes that the best leaders combine a personal humility with a passion for the welfare of the larger organization. Here Christians begin to recognize the contours of our own forgotten understanding. We are reminded here of Paul’s admonition to the Philippians that, in living lives “worthy of the gospel” (Phil 1:27), they must look not to their own interests but to the interests of others, must have their passion shaped by witnessing to the extraordinary power of God’s inbreaking reign. Paul tells the Philippians to renounce “selfish ambition” (2:3)—that is, self-interested ambition that diminishes and destroys life—suggesting that there is a different kind of ambition—a kingdom-shaped ambition—to which Christians should aspire. And indeed, Paul goes on to describe it: we are to aspire to a life shaped and patterned in the life, death, and resurrection of Jesus Christ (2:5-11). We are to be ambitious for the gospel. The life, death, and resurrection of Jesus are both the basis and the goal of our summons to excellence. We believe that the resurrection rightly focuses our attention on the hope to which we have been called and shapes our sense of excellence in the light of God’s glory as revealed in the crucified and risen Christ. The worthiness—the excellence—of our lives is to be patterned by Christ, and specifically the hope and new life we discover in the power of the resurrection. 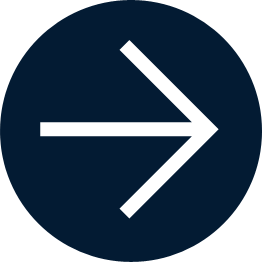 Our ambition for the gospel is a call to the resurrecting excellence of the Triune God. 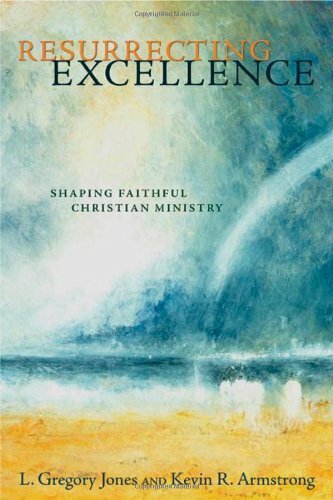 L. Gregory Jones and Kevin R. Armstrong, Resurrecting Excellence: Shaping Faithful Christian Ministry (2006). There is another sense in which we use the term resurrecting excellence. We believe that in addition to being resurrected by and to the excellence of Christ, we can participate in the work of “resurrecting” excellence in Christian ministry, for the sake of shaping and nurturing life-giving discipleship and bearing witness to the light of Christ in the world. The task of resurrecting excellence in Christian ministry is a daily renewal of our vocation to bear witness to the new life of Easter. It is also a particularly important task in our culture, where a variety of forces has led us too often to lower our sights and to turn away from being ambitious for the gospel. If there is any excellence in Christian life and Christian ministry, anything worthy of praise (Phil 4:8)—as indeed there is—let us think on these things. Pohl suggests that a Christian understanding of excellence will require distinctive judgments and coherent, theologically grounded standards of evaluation if we are to measure Christian ministry faithfully and well. Excellence in Christian ministry is perceptible and palpable. Yet it requires a capacity for measuring life by the complexity of judgment and grace as well as the more standard measures of “bodies, budgets, and buildings.” The number of people reached in evangelistic efforts and average attendance in worship are certainly important measures of vitality, but so also is the community’s rich life in Christ. Excellent ministry may be revealed in the number of mission trips and outreach projects and money spent in ministry efforts, but it is also revealed by the power and presence of God reflected in signs of forgiveness and gestures of reconciliation. How do we calculate the effect of reconciling forgiveness, the value of deepened prayer life, the impact of passing on faith to a child, the quiet presence of sitting with a dying parishioner or hammering nails to help provide housing for a homeless family? Such activities are crucial to the way of discipleship, yet they often seem less significant when measured against the ways of the world. Richard Lischer, in his memoir Open Secrets (Random House, 2001), offers an eloquent description of resurrecting excellence in ministry. In particular, he points to his own struggles in reconciling his pastoral ministry in a small congregation in southern Illinois where very little seemed to be happening at the time of the televised Watergate hearings that had transfixed the American people in the summer of 1974. John and Mo Dean seemed to represent real significance—real power—in comparison with Lischer’s rather ordinary, prosaic life in ministry in rural Illinois. Lischer struggled with John Dean’s power, because he seemed to have achieved cultural status without ever excelling at anything. Even so, Dean’s status had fascinated a nation, and it made Lischer wonder about his life as a pastor. Yet, upon reflection, Lischer affirms the quiet, hidden faithfulness of a pastor’s calling: “A minister may drive twenty-five miles to a hospital in order to recite a thirty-second prayer and make the sign of the cross over a comatose parishioner. Who sees this act and judges it to be good? The pastor may devote years of conversation and behind-the-scenes maneuvering in order to promote reconciliation among factions in the community. The preacher may invest fifteen hours of biblical research and reflection on a fifteen-minute speech for no other purpose than to make God a little more believable to the congregation. Place this near-quixotic pursuit of souls beside the creamy power of people like John and Mo, and even a saint will doubt his or her vocation. Does the work of ministry really have the significance we attach to it? What is more important, the political power that openly rules the world or the kingdom of God that secretly consecrates it” (211-12)? Perhaps if we articulated a more robust understanding of resurrecting excellence, of genuinely faithful living measured by a sense of what constitutes God’s excellence, we would be less likely to doubt our own vocations—whether as laypeople or clergy. To be sure, the criteria by which we ought to measure Christian life will be qualitative as well as quantitative, and thus, difficult to summarize. What if excellence were articulated as a response to the question, “Where is the presence and power of God being manifested in this congregation’s life, in this person’s life, in this person’s pastoral leadership?” In some circumstances the response may draw attention to numerical growth, to new programs and outreach, to expanding financial stewardship, to new and renovated buildings. Yet in other circumstances the response may refer to a pastor’s continual hard work of reconciliation among factions in a community, to a congregation’s willingness to care enduringly for those who are dying, to a community’s persistence in resisting injustice and fostering practices of justice and mercy. There is no one standard or criterion for measuring excellence, other than fidelity to the crucified and risen Christ. We suggest, then, that the focus should be fixed on how congregations and pastors are bearing witness to the presence and power of God. To be sure, even with such a focus on God there will inevitably be debates and disagreements about the best images of excellence, the appropriate criteria for excellence, and whether particular congregations, laypeople, and clergy merit identification as excellent. Yet while such disagreements and debates are to be expected, a focus on resurrecting excellence will enable both the understanding and the practice of Christian life in general, and of pastoral ministry in particular, to grow in grace and purpose and in beauty in relation to God. Adapted by L. Gregory Jones from the book Resurrecting Excellence: Shaping Faithful Christian Ministry, co-authored by L.G. Jones and K.R. Armstrong (Eerdmans, 2006).